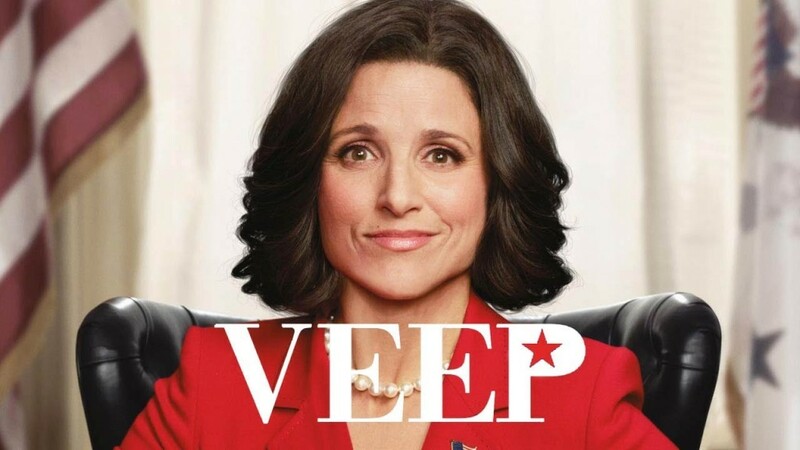 Democracy wins for the musicians of HBO’s Emmy-winning political satire “Veep,” who starting this season will be covered by an American Federation of Musicians agreement. This entry was posted in All News and tagged AFM, American Federation of Musicians, collective bargaining, HBO, Tax Credits, Veep on November 25, 2015 by admin. 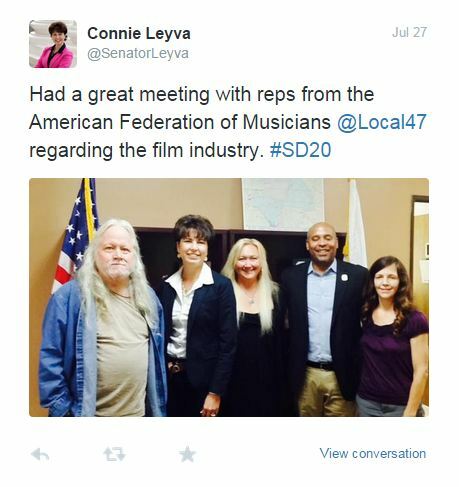 In support of local musicians seeking to grow music scoring work in the state, the California Democratic Party’s Executive Board adopted a resolution Aug. 16, 2015 in favor of broadening the Film & TV Tax Incentive Program to support and increase music jobs. This entry was posted in All News, Legislative News and tagged AB 1199, California Democratic Party, Clifford Tasner, DSCC, Tax Credits on August 28, 2015 by admin. On Monday morning, musicians in Los Angeles visited the office of state Senator Connie Leyva (D-Chino) in support of AB 1199, a bill aimed at creating more film & TV music jobs in California. AB 1199 is now in the Senate Governance & Finance Committee and will be picked up again in January. Musicians are utilizing this time to gear up for visits to local state senate offices to voice their support of this important bill. Several more visits in other districts are in the works up and down the state. Many Los Angeles Local 47 members have already heard from Local 47 Organizer Merideth Cleary – and if you haven’t yet, you will soon! Show your support – sign the petition! To learn more about this important work, visit our AB 1199 blog. If you’d like to get involved, sign up for Local 47 Action Alerts or call Merideth at 323.993.3143 to stay posted to future developments on this and other news that affects California musicians. This entry was posted in All News, Legislative News and tagged AB 1199, legislation, Senator Connie Leyva, Tax Credits on July 28, 2015 by admin. 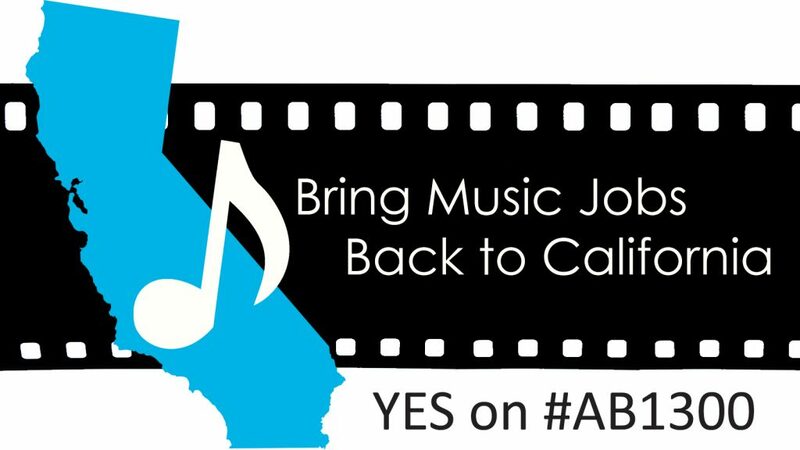 Senator Jerry Hill (D-San Mateo) has signed on as co-author with Assemblymember Adrin Nazarin (D-Sherman Oaks) to AB 1199, a bill with the potential to bring thousands of music scoring jobs back to California. 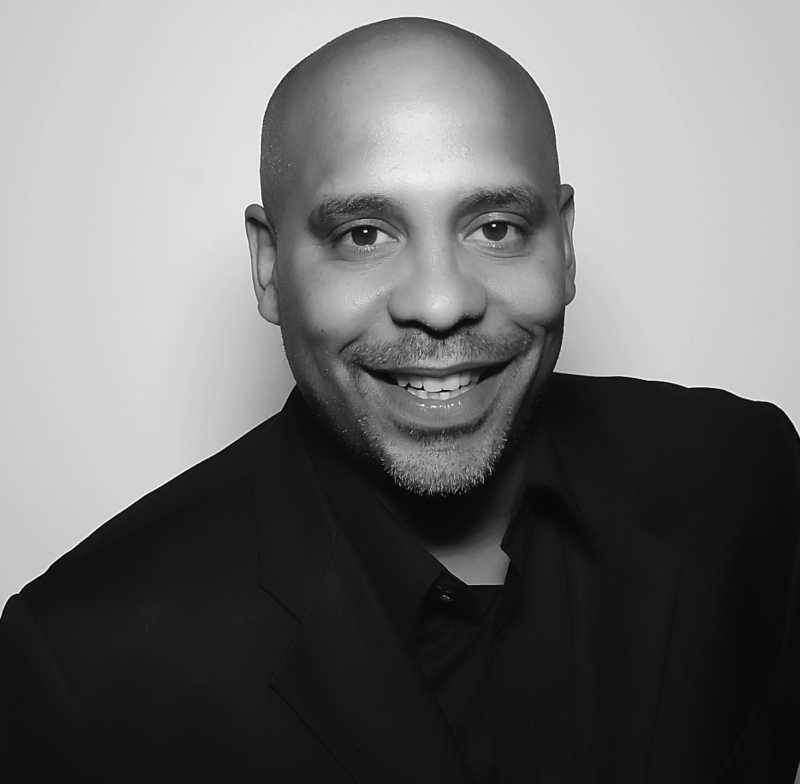 Musicians have been busy pushing to add language to the legislation that will secure a revenue-neutral allocation for music scoring from the existing Film & TV Tax Credit Program. Because no new money is being asked for, this effort has been gaining fast support. Get involved! Sign up for Local 47 Action Alerts or call 323.993.3143 to stay posted to future developments on this and other news that affects California musicians. This entry was posted in All News, Legislative News and tagged AB 1199, Adrin Nazarian, Jerry Hill, legislation, Tax Credits on July 24, 2015 by admin. This entry was posted in All News, Legislative News, Press Releases and tagged AB 1199, Adrin Nazarian, capitol, film musicians, Sacramento, scoring musicians, Tax Credits on May 18, 2015 by admin. 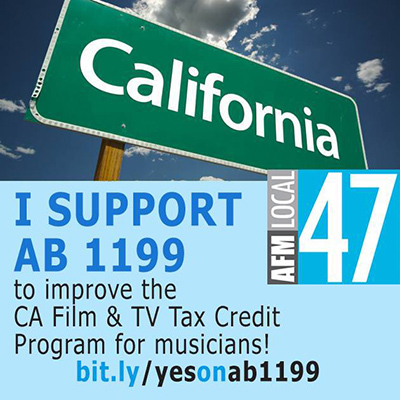 Sign our online petition to support AB 1199 to improve the CA Film & TV Tax Credit Program for Musicians! On April 28, in Sacramento, AB 1199 was heard before the Committee on Arts & Entertainment. Local 47 Vice President Rick Baptist and rank-and-file member Clifford Tasner presented all of your letters of support and testified before the committee in support of the bill. We are pleased to report it passed unanimously! AB 1199 now moves on to its next hearing before the Committee on Tax& Revenue on Monday, May 18. For this hearing, we are coordinating a media event to take in Area 22 (Capital Park, next to pond), complete with a live musical performance. We will meet at the above location at 12:30 p.m. We hope to see as many of our supporters possible there. Please contact our Communications Director at linda.rapka@promusic47.org for further information. This entry was posted in All News, Legislative News and tagged AB 1199, Tax Credits on April 29, 2015 by admin. This entry was posted in All News and tagged AB 1199, petition, Tax Credits on April 7, 2015 by admin.